Blue Mug Designs Birth Announcement - Duck, Duck, Baby! 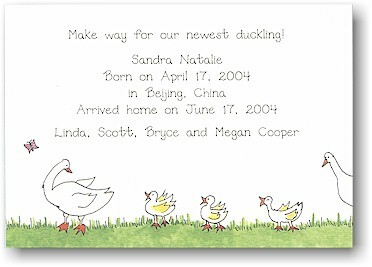 White card depicting a family of ducks. White flat card with baby duck chasing a butterfly.